Lakeside Electrical – Lakeside Electrical and Solar services provides all your electrical power needs, from emergency repairs to large projects, PV solar systems, Level 2 and Clean Energy Council accredited. Solar Systems – What’s the Difference? We offer reliable tradesman who turn up on time, return your call and ensure the job is completed in a professional manner, at a competitive price. Slash your power bills! Let the sun do the work for you. Lakeside Electrical and Solar services can provide all your electrical needs, from emergency repairs to large projects. Being Level 2 Accredited we can also offer site power connection. Slash your power bills! Let the sun do the work for you. Paul is an Accredited Clean Energy Council Installer and Designer with Battery Endorsement. Both Commercial and Domestic systems are our specialty. 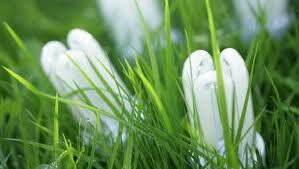 If you would like to cut your increasing power bill but think it may be too expensive, you may be surprised! Our office is located at Shop 1, 11 Toallo Street, Pambula (next to Epic Fitness and Little Bottler). The office is open Monday to Friday 9:30am to 3:00pm. Please feel free to drop in during these hours. Call Karen for an alternative appointment time. 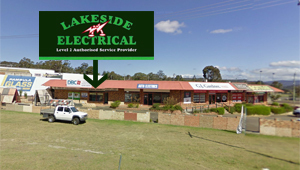 Lakeside Electrical is a family owned business that has been servicing the Sapphire Coast area since 2006. We offer a professional service every time in all aspects of electrical contracting, design and installation of solar systems, site power and underground power connections. With 35 years in the industry, we have a strong focus on customer service & competitive pricing. Lakeside Electrical Is your LOCAL Redback Technologies re-seller. Cobargo, Bega, Tathra, Tura Beach, Merimbula, Pambula, Eden, Wolumla, Wyndham, Towamba, Bombala and even the Snowy Mountains. Lakeside Electrical | Powered by Mantra & WordPress.